Dr. Tony Pizelo - Excellent Cultures Inc.
Dr. Tony Pizelo has been an executive in the financial industry for over 25 years. He is currently Associate Professor in the College of Business at Northwest University. For fourteen years, Dr. Pizelo served as the CEO and Chairman of Pacific West Financial Group and its subsidiary companies. Pacific West was a top 50 Independent Financial Firm in the US with 65 home office staff, 345 independent brokers and over 200 branch offices. Sales topped $1.2 Billion. During this time, Dr. Pizelo earned over 10 financial licenses. Pacific West went through a successful merger with Cetera (a nationally-based financial firm). Just prior to joining Pacific West, Dr. Pizelo worked for Great Northern Financial Services helping them become an NASD and SEC broker-dealer. Dr. Pizelo served as the Treasurer of the Board of Directors of Northwest University for three years and was on the Board for six years. He also served as a Board member of the Issaquah Refuge Youth Center. Dr. Pizelo holds a Bachelors of Arts (BA) degree in Economics with honors from Gonzaga University, a Masters of Arts (MA) degree in Economics from Washington State University, and a MA and PhD in Industrial Organizational Psychology from Seattle Pacific University. His dissertation in Industrial Organizational Psychology involved research in sales, leadership, sales performance development and theory of mind. 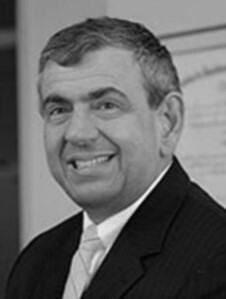 Dr. Pizelo holds the Society of Human Resource Management Senior Certified Professional designation (SHRM-SCP), is a certified director through UCLA’s Anderson School of Management, and a former Accredited Investment Fiduciary Analyst (AIFA) through the University of Pittsburg. When not at work, Dr. Pizelo enjoys spending time with his family including his wife Bonnie, and their 6 children Hannah, Samuel, Giovanna (and husband Chase), Stephanas, Allen and Esther. Dr. Pizelo is an active member of New Covenant Fellowship and Seattle Revival Center and enjoys being a small group leader.